well yes. But you can get used to it. I download and put plus. Funny, but uncomfortable - the camera does not return to its original position. With this mod you can not "throw" the mouse like in San Andreas. Mod blocks the possibility of firing from the car left-right. 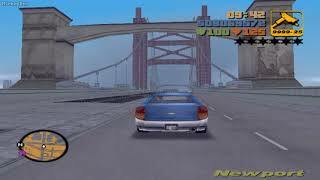 I do not have Cleo in GTA III (version 1.1) .